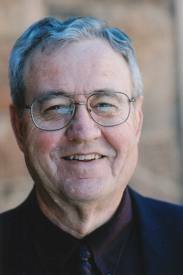 I was saddened by the death of Dallas Willard at what looks like a relatively young age (77) from my present perspective. But he made a great contribution to the world during his life. I am one of the many who were informed, inspired, and challenged by his writings and by his godly example as a fine scholar, a brilliant teacher, and a faithful and humble follower of Jesus. As I have read tributes to Willard from people who knew him well, I have frequently thanked God for him. Through his writings and the influence he had on those who learned the most from him, his ministry will continue in ways we can not measure. I only talked with Willard once, but that brief conversation was a blessing to me. He spoke at the Wheaton Theology Conference one year when I was able to attend, and I was privileged to be among a small group at a dinner graciously provided by IVP for some of the conference speakers and some IVP authors. I sat next to Willard and enjoyed talking with him about discerning God’s will, a topic about which he had recently written a book. Ours was less a theological discussion than it was a brief time of spiritual direction. I was greatly impressed by the gentleness of Willard, as a southern gentleman and a humble Christian, and I was a receptive listener to his wise words at dinner and in his plenary address later that evening. It would certainly have been a great privilege to be one of his students, and even more so to have been a personal friend. His home going will be widely and deeply mourned, but with a spirit of gratitude for God’s work in his life and through him in the lives of many others. In my opinion, this could be fairly called “open theism”—or a version of it. But subsequent e-mail exchanges with Willard made clear that he did not want to wear that label. One question the above quote raises for me is the extent and depth of Willard’s knowledge of open theism. Did he understand what leading open theists say or was he under some false impression of open theism? I never figured out what to make of Willard’s denial of open theism in light of his statements about God’s self-limitation including of his knowledge and of God’s mind-changing responses to prayers. At the very least Willard was an ally, wittingly or unwittingly, of what I call “relational theism” and “relational sovereignty” and even of open theism. I suspect, in my more cynical moments, that many ardent, passionate, conservative evangelical critics of relational sovereignty and open theism loved Dallas Willard because of his profound piety and intellectual support of biblical Christianity (as a philosopher) and, so long as he did not embrace the label “open theism” were happy to overlook his section on prayer in The Divine Conspiracy. I concur with Roger that Willard’s theological framework was open theist, and I find quite plausible his speculation about why Willard was unwilling to identify himself as an open theist. To do so, may well have alienated some of his readers or listeners, and there was no reason for him to curtail his ministry opportunities in that way. Now Willard knows the truth of the matter, whatever that may be, and he rejoices to be in the presence of the Way, the Truth, and the Life. To God be the glory. This entry was posted in Theology Proper and tagged Dallas Willard, open theism, providence, Roger Olson. Bookmark the permalink. But don’t you think that is sad? I don’t know if it is true about Dallas Willard or not. But what is sad is that may have been necessary. Why is it that some or even many Christians are so paranoid about this topic? There is not one bit of an Open Theist belief that make the Nicene or Apostles Creed untenable for them? There is nothing in either of those creeds about God’s knowledge of the future. All Open Theists believe in Jesus death of the cross to redeem them. And His literal resurrection. Does one’s view on the nature future cause one to be ‘in the camp’ or outside the camp? This is so sad! I concur with you, Tim. It is sad. I do not believe that open theism is true, but I do not believe that it is either heretical or dangerous. Unfortunately, this has also made me suspect in the minds of some of the most severe critics of open theism. A second degree separatism sometimes kicks in. So I see wisdom in being discerning of the atmosphere in which we minister. I am reminded of something Melanchthon said when asked a question. It was something to this effect: “To answer would not be difficult, but it would be dangerous.” (Not an exact quote, but that was his idea.) We saw the same problem occur when John Stott revealed his inclination toward annihilationism, by way of response to Edwards’ criticism of the traditional view of hell. Stott had held his belief for decades but never shared it publicly because he knew it would disturb some people. He was right. After Stott’s view became known, I heard of evangelicals who no longer read or recommended any of Stott’s books. I agree that it is a sad phenomenon, but it is the nature of North American evangelicalism and we have to weigh the effect of what we say, with respect to the people to whom we minister. Thanks cor your comments. But how long do we accomodate people without telling them what we really think about things. How does progress get made. How are reformers supposed to be ‘always reforming’ if they can’t say what they are thinking. Surely we need a more robust Christianity that knows what is core and essential and lets people think and comment, particularly on non-core beliefs as on the nature of the future or ones view of hell. We allow pluralism on ones view of baptism, because it isn’t a core belief, but not on these other things? Terry, I think you and Roger are probably on target in assessing Willard’s view. But here is one way in which his perspective may not match most of the open theism literature: He seems to say that God chooses to not know some things about the future that he could know, but I think it’s accurate to say that open theists generally believe that God does not know with certainty the future free choices of humans because those choices are in principle unknowable. For them, foreknowledge of free choices would be in the same logical category as making a square circle, i.e., a logical impossibility. Now if Willard meant that God’s choice to not know all of the future was made via his choice to create creatures with libertarian freedom, then perhaps he agreed with the standard open theists. In my experience, many evangelicals tend to accept the argument of books like Greg Boyd’s God of the Possible until they are told that it is a piece of open theism, which leaves them very ambivalent. That seems to be an example of what Roger is saying. Good point, Stan. As I recall, Willard considered libertarian freedom essential to God’s having a genuinely responsive relationship to us. So I assumed that he was following the open theist belief that, in giving moral creatures libertarian freedom, God chose to leave the future open, by contrast with classic Arminianism’s comprehensive divine foreknowledge of what libertarianly free creatures will choose. My reason for not feeling that open theism was a large move beyond classic Arminianism was that I think open theists are correct in asserting that comprehensive divine foreknowledge of libertarianly free creaturely action is useless to God providentially, anyway. As Hasker put it, “by the time God knows what is going to happen, it is too late for him to do anything about it.” I never really understood the strength of concern about open theism which was expressed by some Calvinist theologians, on account of my perception that the God of open theism was little if any more self-limited than the God of classic Arminianism. I was even more befuddled by Arminian protests against open theism, for the same reason. As a Calvinist, when teaching about God’s providence, I actually grew to like open theism because I see it as a very coherent form of synergism. Frequently, when students saw where their intuitive commitment to libertarian freedom was taking their understanding of providence, they backed away from it. On the other hand, I did have a few students who followed their framework all the way to open theism. My strong commitment to self-consistency in a theology led me to greater satisfaction with that move than with the more common phenomenon of people affirming both a synergist soteriology and a monergist doctrine of providence. As a P.S., Stan, you may be aware that Roger is driven crazy by the many Baptists who hold classic Arminian convictions but who deny that they are Arminian, because Arminianism has a bad vibe in their circles. I’ve met many “1 point Calvinists” who consider themselves moderate Calvinism, despite the fact that even their affirmation of “eternal security” is a long way from Dort’s insistence of the necessity of perseverance, but the promise of divine preservation. So, I know what Roger is dealing with, and I have some sympathy for his concern. My experience and instincts match yours exactly. I also share Roger’s frustration with Baptists who are essentially Arminian but will not accept the label. What is often called the “Traditional Southern Baptist” view affirms eternal security without affirming efficacious grace and unconditional election, which seems to me to be incoherent. If my proposal is accepted, I will be making that point in a paper at ETS this year. I’ll look forward to reading your paper, Stan.